For a properly functioning septic tank system, you need to have everything checked out once in a while. 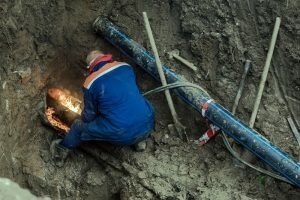 Even though you may have regular pumping done, a full inspection will help to find things that may be lurking before the issue has a chance to fester into something worse. Schleg Valley Construction will be there as your choice in a dependable septic inspection service in Arlington. All you have to do is give us a call and we can get started as soon as possible. Hiring a professional for the inspection of your septic tank system will help to give you some insight as to how your setup is working overall. If you are not quite sure of the history of the septic system, this is also a time where everything can be checked out to give you a better idea as to the condition and maybe even what the maintenance and repair schedule may have been. Upon arriving at your property, we will pinpoint the exact location of the septic tank system so that we can perform a full inspection. We will look at the sludge in the tank and then look for any potential problems. If it seems as though a fix is necessary, we can also talk with you about taking care of it. Schleg Valley Construction is a full-service septic company and we are ready to go with all of the equipment and know-how regarding septic systems of all kinds and sizes. If you are unsure of how often your septic tank should be inspected or maintained, we can also work with you to get you on a regular schedule to ensure proper function and overall longevity of the system. When you need a septic inspection service in Arlington, be sure to hire the best. Call Schleg Valley Construction at (425)312-6750 for more information!